Your first appointment with us is the best way to lead you on your journey to perfect dental health with teeth you can trust and a smile worth sharing. We often see patients who are overwhelmed about seeing the dentist due to fear of the unknown. This fear often stems from fear of pain, fear of what will be discovered at the dental appointment and fear of how the dental treatment will be managed. We have a preventative approach to dental health and as such our comprehensive exam is the foundation of our dental services. Our comprehensive dental exam is like nothing you have ever experienced! With a focus on alleviating these fears and concerns, we aim to build your understanding of your dental health with a focus on the relationship between your dental past, present and what you envisage for yourself in the future as well as the relationship between your oral health and your confidence! What’s involved in our dental examination? Examination of diagnostic x-rays/OPG: The special equipment at SSDental gives us very detailed images of your teeth and jaws that we wouldn’t otherwise be able to see. These are essential for detection of decay, tumours, cysts, and bone loss. X-rays also help determine tooth and root positions. Oral cancer screening: examining your face, neck, lips, tongue, throat, tissues, and gums for any signs of oral cancer. 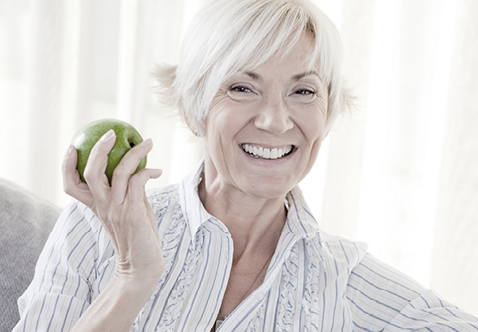 Gum disease evaluation: examining your gums and bone around the teeth for any signs of periodontal disease. Our findings pave the way to designing a treatment plan with the main aim of achieving your goals. You have the opportunity to ask as many questions as you like! It is all about you! Regular Hygiene visits with our Dental Therapists are Pivotal in your journey to maintaining excellent oral and general health with teeth you can trust and a smile worth sharing! Depending on the health of your teeth and your general oral health, we will recommend you make your hygiene visits every three to six months. Essential for maintaining general good dental health, your regular visit to our dental hygienist allows us to identify any issues and ensure correct measures are taken to avoid them becoming costly problems down the track. Want to find out more? Removal of plaque: Plaque is a sticky, almost invisible film that forms on the teeth. It is a growing colony of living bacteria, food debris, and saliva. The bacteria produce toxins that inflame the gums. This inflammation is the start of gum disease. Teeth polishing: This helps remove staining and plaque that is not otherwise removed during tooth brushing and scaling. Topical Fluoride Application: This strengthens the teeth once they have erupted by seeping into the outer surface of the tooth enamel, making the teeth more resistant to decay. Most parents want the best for their children and this includes good oral health! Good oral health is a critical part of your child’s overall health and their self-esteem. 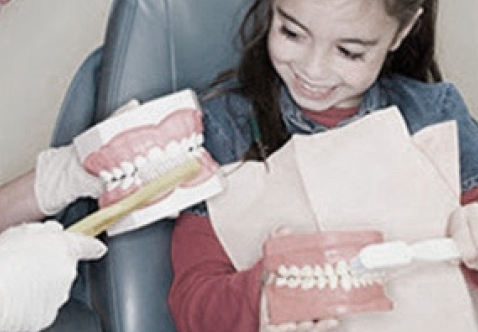 At Sensational Smiles Dental we pride ourselves on the special attention we give to children. We aim to ensure their experience with us is FUN! Our office is child-friendly and is equipped with toys, books, balloons and movies. And it’s not just the toys that make our unique children’s dental experience, our specially designed children’s exam room is open, colourful and friendly, and our staff have been specially trained to give children the extra caring they need to feel happy, safe and secure whether they are 2 years old or a teenager. A sealant is a plastic material applied to teeth, which hardens and provides a protective barrier against plaque and other harmful substances. Pit and fissure sealants can be used on children’s teeth as a preventative measure to help reduce the risk of caries and decay especially on back teeth which are particularly hard to clean. A SECOND CHANCE FOR A LIFETIME OF BEAUTIFUL SMILES! 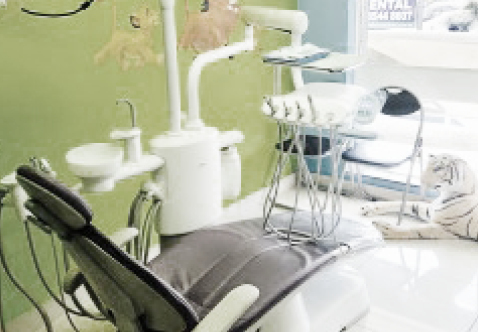 Has your child had an unhappy experience while receiving dental treatment elsewhere? We are like nothing you have ever seen! 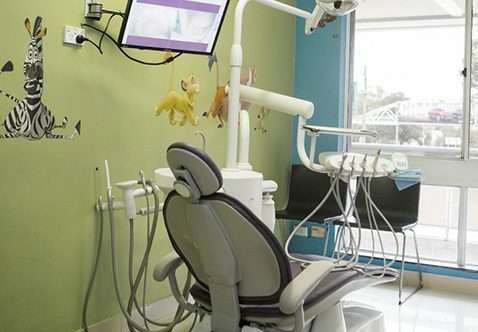 Our child-friendly atmosphere and friendly staff will erase any doubts or discomfort your children may have about visiting the dentist. We will take the time to explain everything to you and to your child using words they can easily understand in order to make them feel relaxed and comfortable while they get the care they need. 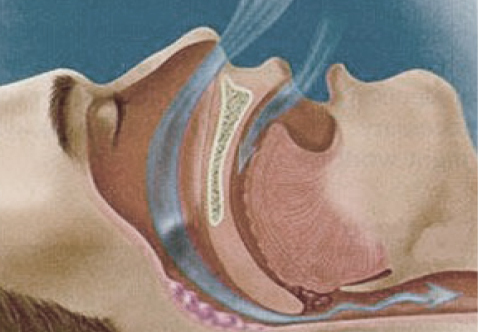 Snoring is a breathing disorder, which results from a narrowing of the airway during sleep. When you fall asleep all your muscles relax, including those that control your tongue and throat. The soft tissue at the back of your throat can sag, narrowing the airway. Incoming air makes the soft tissues at the back of your palate and the suspended tissue at the back of your throat (uvula) vibrate. This vibration is the sound we know as ‘snoring’. Generally, the more narrow your airway the louder the snoring. Snoring is often no greater a problem than the noise itself. However, loud snoring may be a sign of a more serious problem – Obstructive Sleep Apnoea. Sensational Smiles Dental provides a number of alternative treatment options for patients with mild to moderate snoring and sleep apnoea conditions. We also work with other physicians including specialist sleep physicians, ear, nose and throat specialists, and maxillofacial surgeons to ensure you receive the best care and treatment. We will work with you to achieve the best treatment plan for you! Suffer from snoring and want to find out more?